Home / Blog / What is an Investor Employment Creation Visa and How Can I get One? Below, we’ll discuss an investor visa, who’s eligible, the motions of applying for one, and how the application process is simplified with the help of an elite immigration lawyer. An investor employment creation visa is a type of green card issued through U.S. Citizenship and Immigration Services (USCIS). The visa belongs to the EB-5 Program and it allows entrepreneurs, their spouses, and any unmarried children under the age of 21 to seek permanent residence in America. Applicants must meet criteria for investing in commercial enterprise and go through the motions of the application and an interview. The help of a qualified professional such as an elite immigration lawyer will make the process less tedious and ensure a thorough, accurate application. 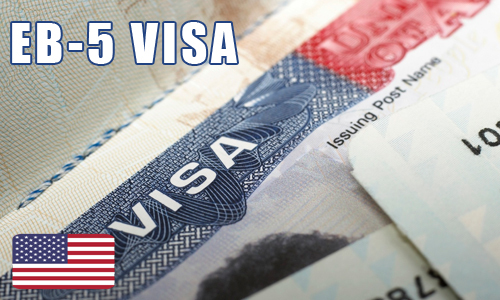 EB-5 Investor Visas are available through U.S. immigration law to foreigners who contribute to the American economy by planning to create or preserving “10 permanent full-time jobs for qualified U.S. workers.”1 Creating jobs and investing in capital strengthens the economy in significant ways, allowing the government to offer a limited number of visas to foreigners who do so. Each fiscal year, that is from October 1st – September 30th, U.S. immigration law allows “approximately 140,000 employment-based immigrant visas” to qualified applicants.2This limited number of available visas are divided into five preference categories, which break down ultimately into a smaller pool of investor visas. You’ll often hear the term “alien investors” used in reference to immigrants seeking residence through the EB-5. The authorization of alien investors comes directly from their active involvement in creating new employment for our country (though applicants aren’t required to control the business that’s producing new jobs). Verifying eligibility and applying to USCIS is complicated, and the help of an elite immigration lawyer is needed to ensure every step of the process is filed correctly.